The companies that are involved in Morocco’s oil quest in occupied Western Sahara and their hired lobbyists have developed their own unique discourse to divert attention from the obvious fact that their activities are manifestly illegal and immoral. We decode the most common lies for you in this section. A crash-course in interpretative translation of Blood Oil Talk. 1. 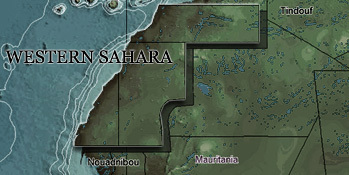 "Our oil exploration in Western Sahara is completely in line with international law." 2. "We're talking to the local populations." 3. "Our work will be to the benefit of the local populations." 4. "The oil exploration and exploitation can occur parallel to the UN peace process, and even help to support it." 5. "We are not engaged in politics."